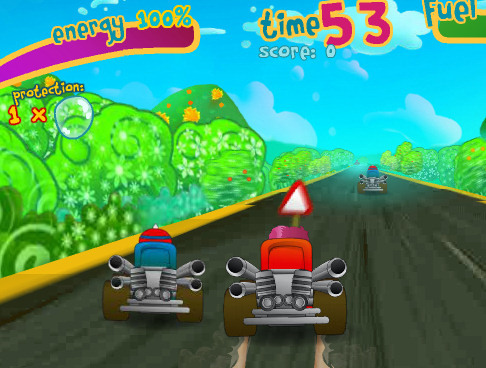 Description Race with fast kartz in this 3D game with 25 levels. Buy upgrades for better steering. Try to survive untill the timer reaches zero or charge the special challenge meter to complete the level quicker. Collect all the special items and complete all tracks. After each 5 levels you will get an extra star. Try to complete all levels and beat the high score.